I’m Riccardo Marca, 18 years old and born in Riccione. 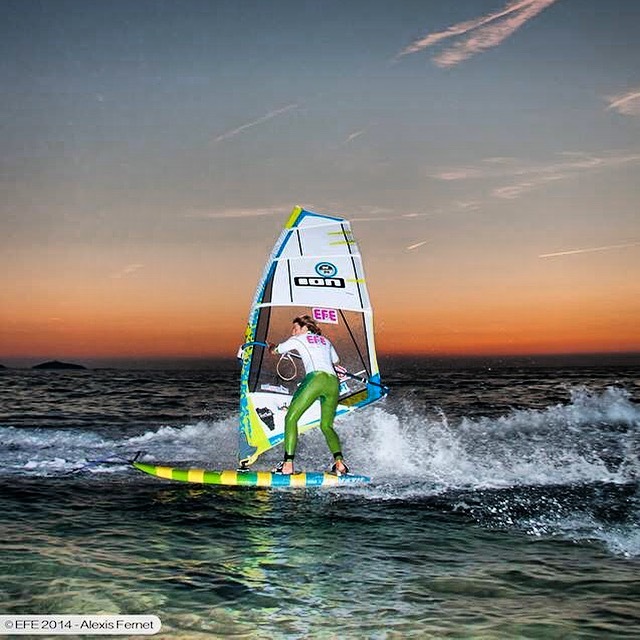 I started windsurfing when in Egypt in 2008. 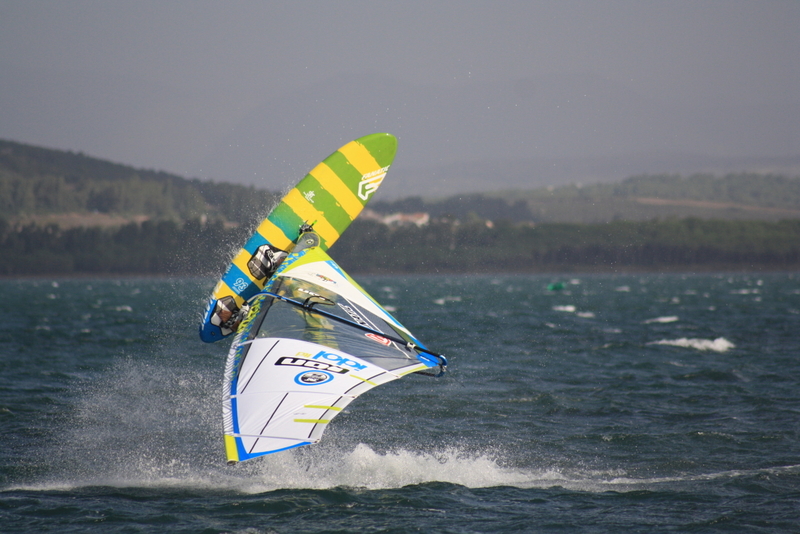 I was windsurfing in Riccione till two years ago, but it is not really windy and was really difficult to train and improve. So I decided to move to Sardinia. 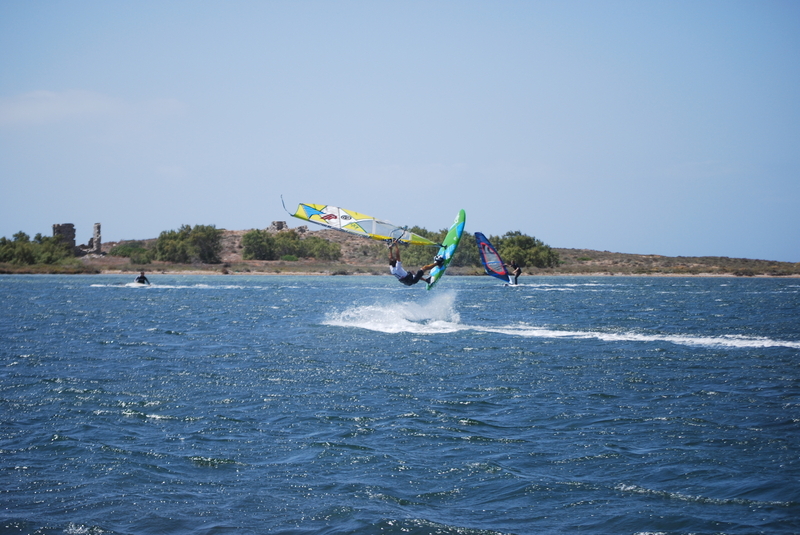 Now I’m here, and I’m studying for my last year of high school but especially I’m training windsurfing. I’m really happy about my decision, my life now is completely different and I’m living my dream. In the last years I started to compete in European and world tour in under 20 and under 17 category, I also had some good results. 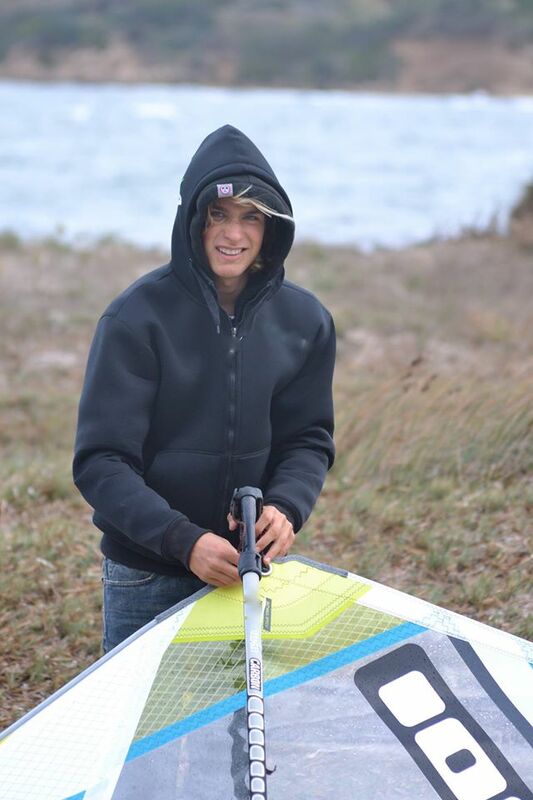 My plan now is to start competing in EFPT European tour and maybe in PWA world cup. Last month I took part in my first EFPT event, unfortunately it wasn’t windy but I’ll try again next year. At the moment I don’t know, but I’d really like to reach the top 10-15 in the world in the next year. There are many difficulties. Now I’m living alone and it’s not easy to organize everything. I have to cook, clean the apartment and do all the things you need to live well. Moreover I’m also studying, so I have to find also the time for that. So it isn’t easy to find the time to do everything. When it’s windy I do my best to surf as much as possible. 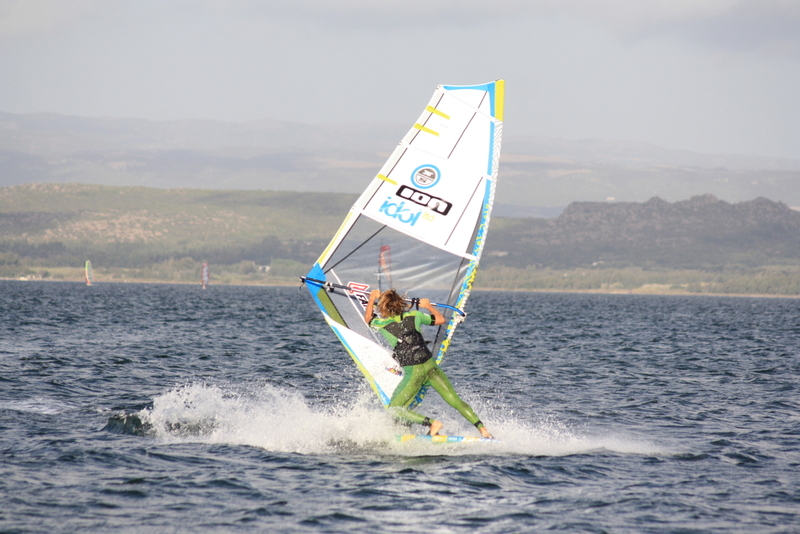 Windsurf freestyle is an extreme sport and each trick-move that we land is an impact for our body, so you also have to keep fit and train out of the water. In the last year I started to train out of the water just for this reason, with the help of a personal trainer. I feel free and in contact with the sea and the nature. I really like that when I go in the water to surf I forget all the problems (most of the times) and I’ve only to focus on my moves. I also really like to surf with other guys and friends and share with them the magic of this sport. I can practice where I want, the sea is vast. Most of the times I train in the same “spot”, (how surfers call the beach where we go surfing). The name of this spot is Sa Barra, in the island of Sant’Antioco, where I’m living now. Here the condition is optimal for freestyling. I always try to be ready and fit to do my best in the water. My idea of success is to do your best, if you’re sure about it, you cannot regret nothing. When I compete there are many things that make me afraid. Mostly is the fear to go wrong. When I surf alone I’m really relaxed but when I compete I have to fight also with anxiety. Hahah, nice question. I think that my family and specially my dad follow me and help in all I’m doing, so maybe I can call him a kind of fan. There are many, but if I have to choose one it will be the one that a friend of mine told me some years ago. He told me: Follow your dreams and make sure that no one will stop it. So if you think that you find your way take it. There is nothing more satisfying than doing what you love. At the moment I’m still studying to finish high school and graduate. Then I don’t know. 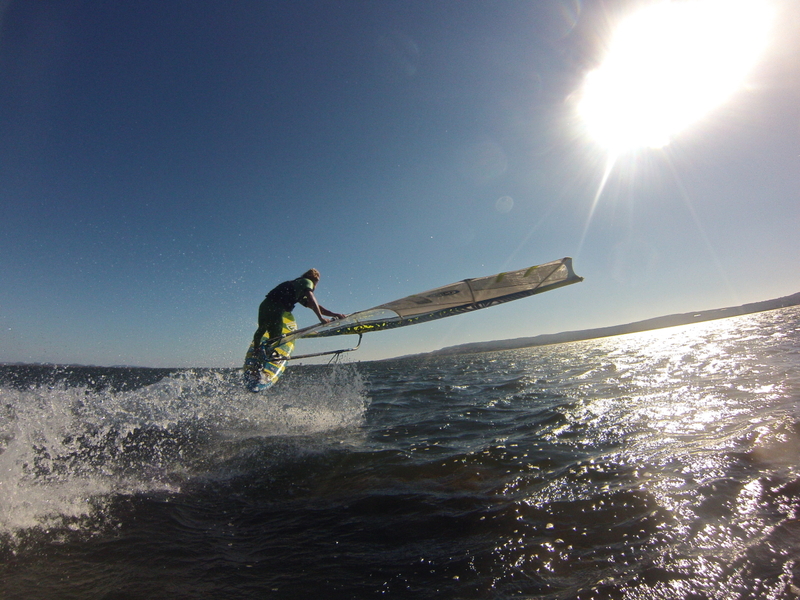 For sure windsurfing, this is what I’m sure about, I love this sport too much to leave it for something else, so I have to find the right place where I can surf and make something else, probably university. This sport is amazing, when you’re in the water the adrenaline and the emotion is just amazing. This is not a simple sport, this is a lifestyle and it changes completely your way to live, obviously in a positive way.